In the northeast corner of West Virginia nestled between mountains, lakes, and rivers lies the tiny, quaint county of Tucker. 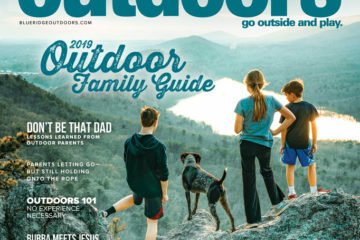 Though the county has a small population of under 5,000, the large sense of community has helped create one of the most beautiful, booming outdoor areas in the United States. Winters filled with an abundance of snow have created a serene mountain setting ideal for skiing and snowshoeing while rugged terrain leaves mountain bikers with exciting and challenging trails sure to test their ability. 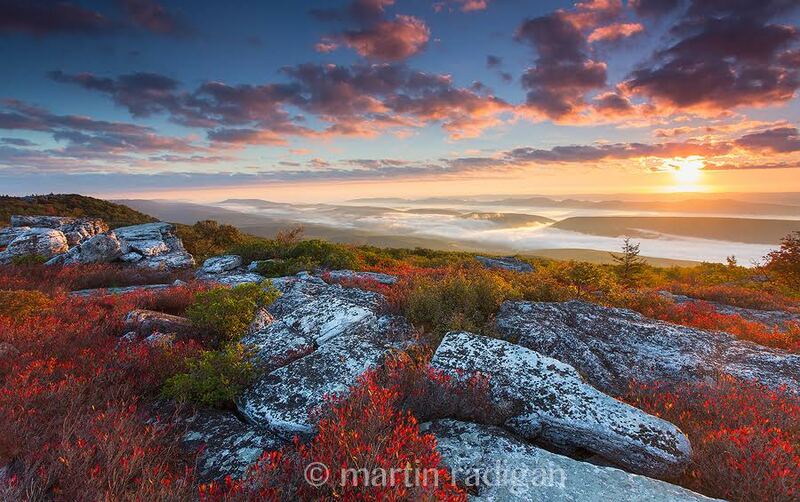 And the unique and diverse beauty of nature in the Dolly Sods Wilderness Area is a backpacking favorite. 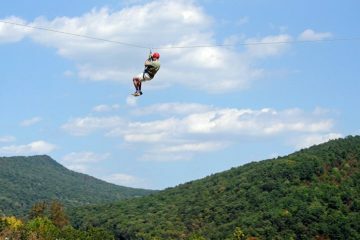 Whatever your source of thrill, no matter the time of year, Tucker County will serve as the perfect backdrop. 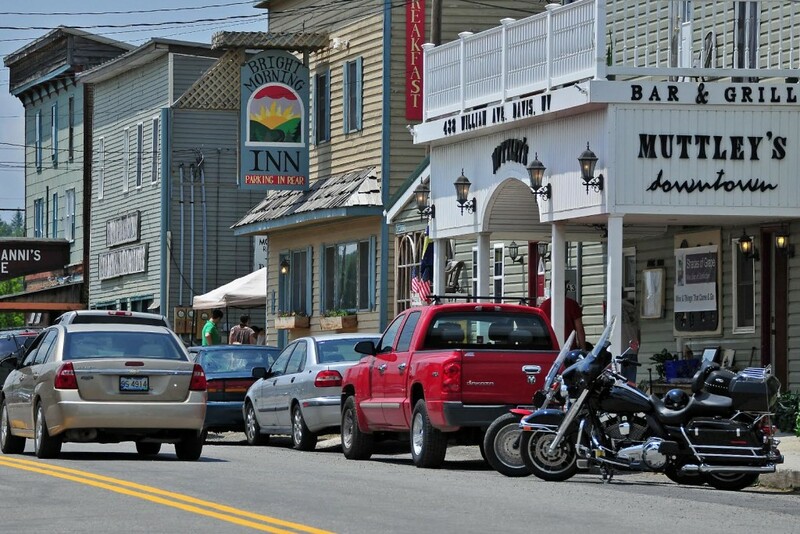 Stop over at the Tucker County CVB in downtown Davis for local beta, brochures, and maps. You can check them out online before you even get to town. 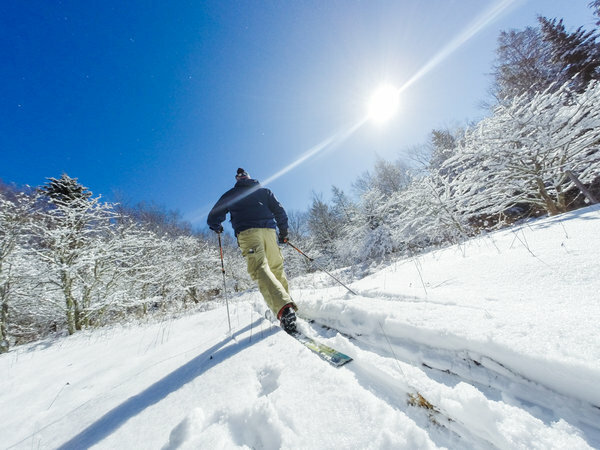 With an average annual snowfall of around 160 inches, a visit to Tucker County in the colder months leaves you no choice but to bundle up and grab your skis. White Grass Ski Touring Center boasts 42 interwoven trails with over 1200 feet of altitude change, leaving you with hours of eager exploring and adventure for all skill levels. The well-maintained trails include small hills and guided instruction for beginners or steep forest expeditions for those with more experience. 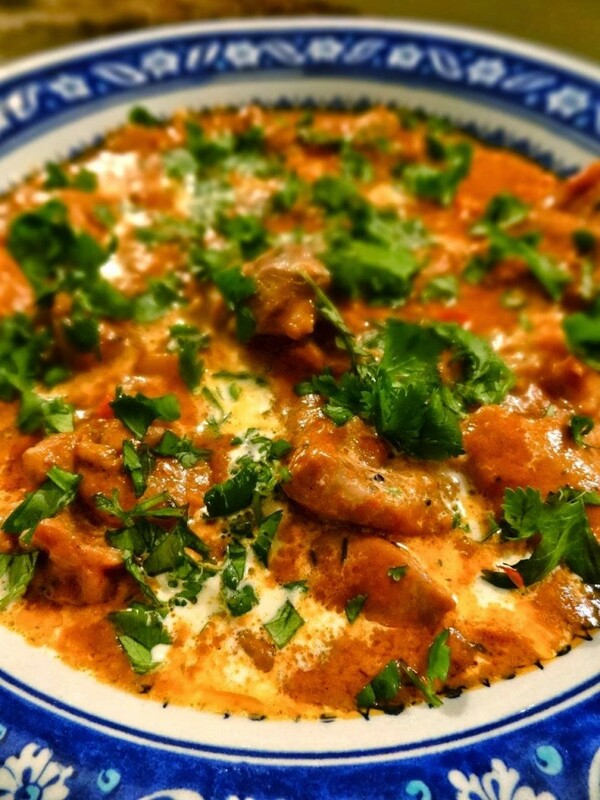 Refuel with phenomenal food and live music in the café every Friday throughout the winter months. 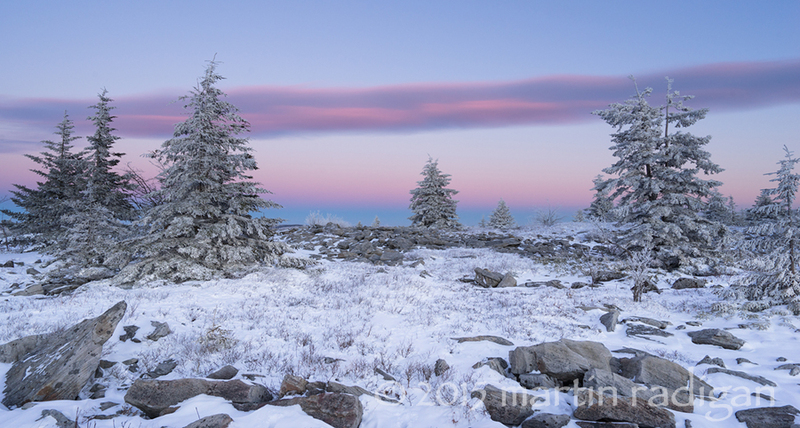 High above, on the Allegheny Plateau, is the beautifully diverse Dolly Sods Wilderness. Due to a logging craze that occurred several centuries ago and an unusual climate, this stretch of land is home to rocky plains and grassy meadows, muddy bogs and damp swamps, breathtaking vistas, and plant life similar to that of northern Canada. The unique land formations that vary from one mile to the next make for the perfect hike, lasting anywhere from several hours to several days. 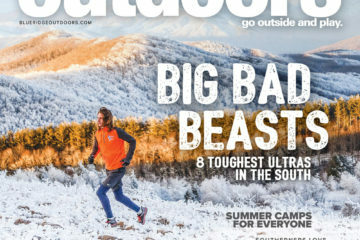 For a longer trip with one of the best overlooks in the region, Lions Head hike takes you on a three-day, two-night hike with over 2,500 feet of elevation gain on your way to a majestic rock formation resembling, you guessed it, a lion’s head righteously protecting to his mountains and valleys below. During the winter months, Canaan Valley is where it’s at. Glide down 1,200 feet of packed snow at the resort’s snow tube park, which features the longest lanes in the Mid-Atlantic. Canaan also offers a beautiful ice skating rink that overlooks the Allegheny Mountains and surrounding valley. With a snow adventure for every age and ability, you and your family will certainly leave the resort satisfied and craving more snow. 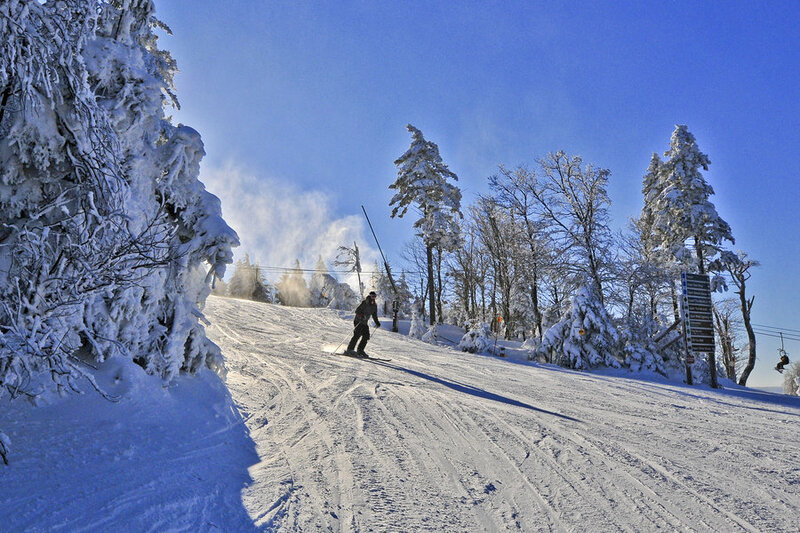 Of course, you shouldn’t miss out on the skiing and snowboarding here. Pick up rentals for your snow-cation at the recently opened Driftland Ski and Sport in downtown Davis. Their friendly and expert staff will help get you fitted with the right pieces of equipment or repair your own. Telemark is a technique skiers use to combine two different ways of skiing. 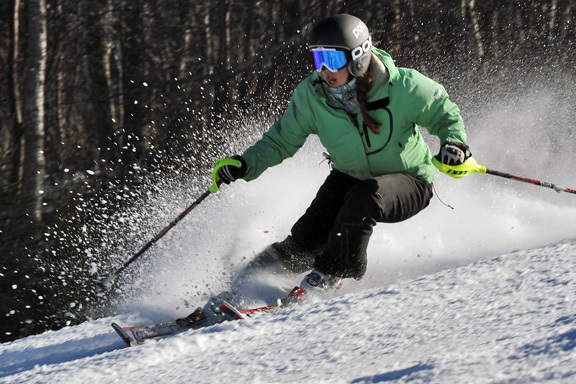 At Timberline Ski Resort, professional instructors take participants step by step to teach them the ins and outs of telemark skiing. Their careful instruction will help you learn the perfect bent-knee turns and teach you how to adjust to the heel-free binding system unique to this ski style. After several hours and many helpful tips and demos, you can walk away a better, more agile skier. 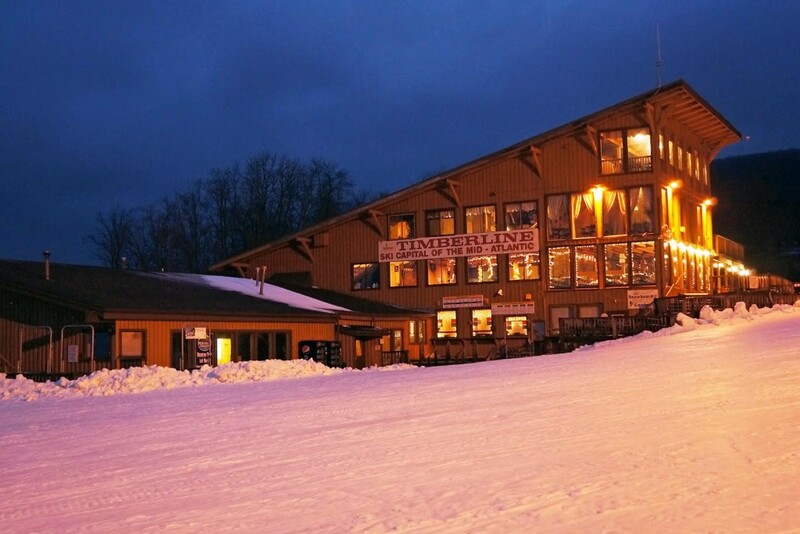 Timberline’s professional and friendly staff also offers guided group or private instruction in snowboarding, alpine, and backcountry skiing. Oh yeah, and the bar here always draws an interesting nighttime crowd. If you’re looking to stay warm and dry during an unchallenging mountain bike ride, Tucker County probably isn’t for you. But if you’re prepared to cope with rain, cold, or both, and enhance your mountain biking skills, you’ve found the right place! 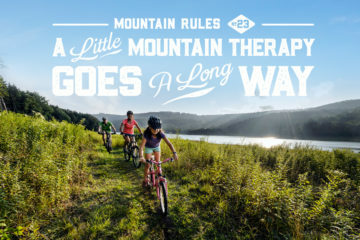 Not always beginner friendly, Tucker County’s mountain biking scene is characterized by technical roots, rocks, slick surfaces, and often-steep climbs and furious downhills. 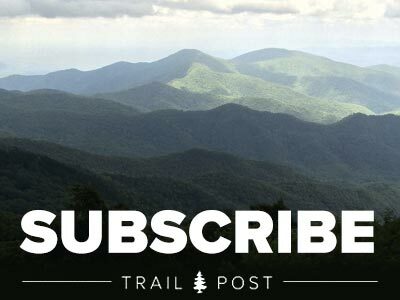 A favorite local loop is the Hellbender Cirque which offers nearly 15 miles of steep ascents and descents through scenic, high-altitude terrain. For trusted bike help, equipment, or rentals, check out Blackwater Bikes. They can assist you with full-service bike repair, rentals, top-quality gear, and tips and advice for the region. Want to ride, even if there’s snow on the ground? Blackwater Bikes is offering fat tire rentals for the first time ever! What better way to explore the trails in winter? 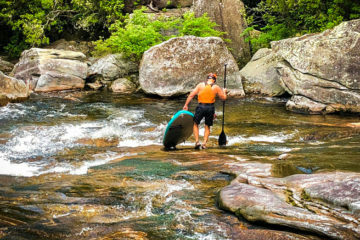 During the warmer months, the Blackwater River’s flatter stretches of water are a perfect way for river lovers to enjoy all that characterizes Tucker County. Blackwater Outdoor Adventures is your outfitter for kayak, canoe, stand-up paddleboards, and tubing rentals. They provide various lengths of trips ranging from one and two hours to full day paddles. 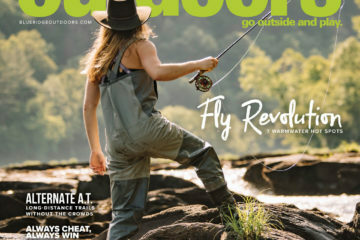 Looking to fish? 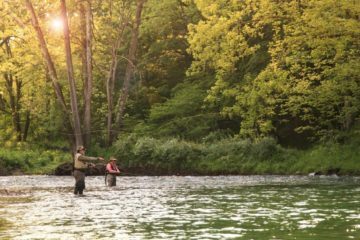 In the Blackwater Canyon, known for its large and abundant brook, rainbow, and brown trout, anglers can enjoy catch and release fly fishing. For an Americanized spin on authentic Mexican burritos, head to Hellbender’s. The menu includes plenty of vegetarian friendly options, tacos, soups, starters, and traditional burrito options. If you are up for trying something new, the Goofy Foot is a local favorite which includes tofu, soy sauce, cucumbers and tomatoes, topped with mouthwatering jalapeño jack cheese and garlic mayonnaise. With two locations in Canaan Valley and Davis, West Virginia, this authentic pizza shop has almost 30 years of perfecting ingredients under their belt. 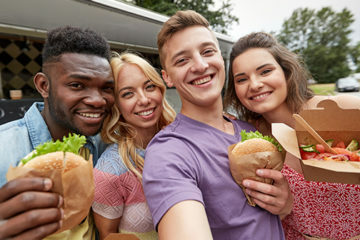 The eclectic and homie feel, fresh ingredients, and the friendly and attentive servers create a local favorite and a not-to-miss stop for visitors. Formerly known as HypnoCoffee in Davis, West Virginia, TipTop is the perfect place to head for all your nighttime spirit needs. Friday nights they not only offer their daily crafted cocktails and fine wine and beer, but also all the local grass-fed beef deliciousness you could ever dream of on burger night (with plenty of vegetarian options also available). So you’re probably wondering, “With an outdoor town this amazing, there has to be some pretty damn good live music too, right?” Correct, and it’s at the Purple Fiddle. Here, on weekend nights, the community gathers to clap, stomp, sing, and sway to Appalachian-based acoustic music. 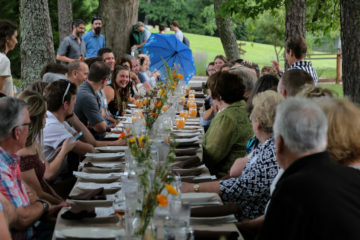 The facility, though small in size, has hosted such big names such as the Avett Brothers and Greensky Bluegrass. It’s the perfect nighttime event for the whole family where you can also order some tasty adult beverages. Live music every night thru August 23rd #purplefiddle #thomaswv #gettuckered ???? A new addition to the local brew scene, the atmosphere here is cozy, the workers are welcoming, and the beer is incredible. Different from most breweries, Stumptown focuses on super hoppy, in-your-face beers. Their high standards will suit every beer lover’s expectations. Mountain States brews are so good that they now have three different brewpubs scattered across two different states. Mountain State Brewing is not only the largest brewing company in West Virginia but one of the oldest. From the beer to the bar to the building, everything is crafted with skill, quality, and perfection. Sitting near the entrance of Blackwater Falls State Park is the award winning Blackwater Brewing Co. They focus on producing small-batch craft beers such as German, English, and Belgian session ales and lagers. Open for less than four years, Blackwater Brewing has already earned several awards and continues to brew high quality beer. Choose a cabin, suite, or deluxe home-away-from-home right in the Valley! 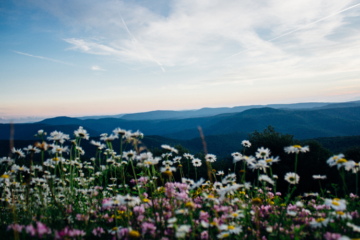 You’re just a few minutes’ drive from Timberline, Canaan Valley, and White Grass. 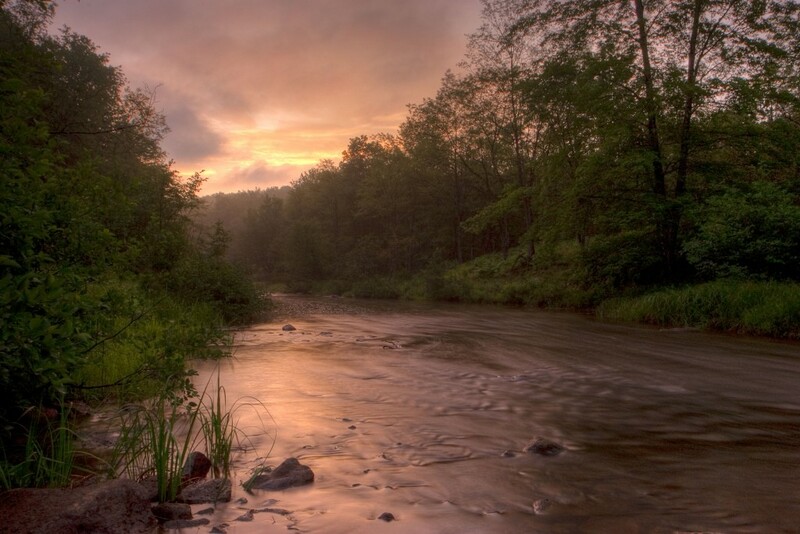 The property itself is just as scenic as the surrounding views of Canaan Valley National Wildlife Refuge, Cabin Mountain, and Timberline ski area. There are even catch and release fish ponds on site! With jacuzzis available in every nearly every rental, you may never want to leave…and really, can we blame you? Not only is it the place to go for riveting live music, but the Purple Fiddle also offers a clean bed to crash after a long day. They have 15 beds, two shared bathrooms, a pool table, and are conveniently located across the street from the Allegheny Highland trailhead. If you’re lucky, the musical act of the night might be sharing a bed across from you. Each of the 39 cozy cabins includes a bath and shower as well as a stone fire place to really give you the cabin feel. This is the perfect place to stay if you plan to do a lot of adventuring in the park, which has trails for hiking, groomed trails for cross-country skiing, waterfalls to admire, and also a sweet sledding hill that was opened last year. Located trailside at White Grass is the elegant and secluded Garage Mahal, a must for any skier who wants to start their morning just a few steps from the trails at White Grass. Visitors can also enjoy trekking to an enchanted bubbling sand spring located within walking distance from the house. Filled with history and stories from every kind of outdoorsman, Bright Morning Inn was originally built in 1896 as temporary housing for lumberjacks. After a complete renovation, it now contains eight bedrooms and holds a total of 25 guests. 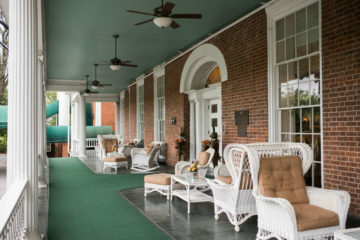 The history of the Inn is brought alive through the rustic pine floors, telling antiques, and beautiful, hand-made quilts. The best part is waking up to the tempting smell of their famous breakfast and following your nose only footsteps to enjoy it.